The origin of Bismarck is uncertain, but thought to have arisen in Canterbury, New Zealand and brought into Germany in the 1800’s where it was named for German Chancellor, Prince Bismarck. One unique feature is its dwarfish growing habit, making it an easily managed tree for the home orchard. 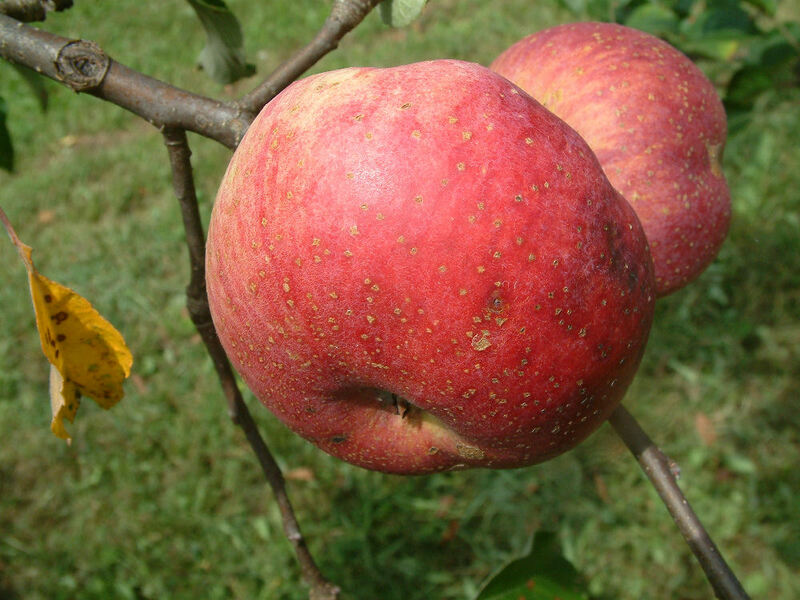 Large to very large fruit with golden-yellow skin and red striping. The flesh is white, crisp and juicy. Ripens August to September.